Slot machines have long been one of the most popular forms of casino games the world over, both at land-based and online casinos. Offering fast and easy game play and big rewards it’s no wonder players love spinning the reels of slot machines. Traditionally known as fruit machines, these classic games offer fun, excitement and the promise of speedy and significant wins – what’s not to love? Nowadays though, with the online casino market thriving and new games from hundreds of providers cropping up almost daily, it can be hard to know which slots to choose! Well, look no further because casinobet.com can personally recommend a slot game that will delight every slot fan out there: Golden Goddess. The Golden Goddess slot is a mythological-themed slot from trusted games providers IGT and available on a wide range of online casino sites. An incredibly popular slot machine, the game boasts exciting gameplay, superb graphics and some incredible bonus features such as its thrilling – and big-winning – Super Stacks feature (detailed below). And to save you the trouble of researching this fantastic slot, casinobet.com has done all the hard work for you! Our review of the Golden Goddess slot will provide you with the complete lowdown on every feature of the slot, including how to play, reel symbols and their worth, paylines, audio and graphics. Read on and get all the info so you can start playing today! The Golden Goddess slot machine is a unique game based on ancient Greek mythology. Set against a beautifully lush mountainous backdrop, the reels are surrounded by dreamy scenery and the game plays out to a gorgeous soundtrack (the volume is, of course, adjustable to suit players’ wishes). The action centres around the beautiful goddess herself and her beau. The main reel symbols are the goddess, a horse, a white dove and a handsome Adonis-type figure. These are the high-earning symbols and are accompanied by lower-paying icons including the standard letters and numbers usual to most slot games. Available to play on mobile and desktop devices, Golden Goddess doesn’t differ greatly from most other online slots when it comes to gameplay. It’s a simple game to master and, once you have all the info you need on symbol values, paylines and all the bonus features, you’ll be spinning your way to success in no time! The reel set-up is simple. There are 5 reels, 4 rows and an impressive 40 paylines. The first thing to do is choose your coin value (this is the amount you want to wager with per spin), and the number of paylines you’ll play with. Make sure that you’ve understood all the symbol values, and what you’re playing for, then all that remains is to press that Spin button at see what riches the reels reward! 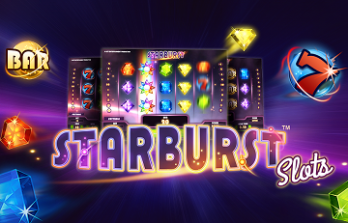 When it comes to special features (bonuses, special symbols, free spins and free rounds), this slot doesn’t disappoint. The central bonus feature in this game is the Super Stacks feature. This is a really impressive feature that awards players some huge wins. It works by creating large stacks of matching symbols on every single reel in the base (standard) game. This greatly increases players’ winning chances. This can happen with any reel symbol, except for the Bonus Scatter symbol (the eye-catching rose icon). When these matching symbols appear lined up on the reels, you’ll earn impressive payouts and can also trigger some other big-winning features in the game. Another of the game’s great features is the Free Spins Bonus feature. This is activated when the rose Scatter symbol appears on the three centrally placed reels in the middle (reels 2, 3 and 4). When 9 of these Scatter symbols line up on any of these three middle reels, the game’s Free Bonus feature will be triggered. This is an exciting feature as you are then taken to what’s known in the slot as a “bonus picker”. During this bonus picker round, you’ll get to select a bonus icon. When you do, either the goddess, the man, the horse or the dove will appear as a Super Stacks symbol and you’ll be rewarded with a number of free spins! IGT’s slot game offerings are typically excellent – and Golden Goddess is no exception to the rule. Casinobet.com can guarantee fun and fast gameplay, superb on-screen graphics and big winning opportunities when you bet Real Money and start spinning those reels! One of the slot game’s best features is its unique subject matter – Greek mythology – making it an interesting and enticing game. You don’t have to be a gaming aficionado either to enjoy this offering – it’s ideal for first-time players with its easy gameplay and low-risk bet settings – while you could still pick up up to x20 your original line stake. Some of the higher paying symbols even go as high as x50 your stake when boosted by the Super Stacks feature. Golden Goddess is an incredibly popular slot game, available to play on both desktop and mobile at a large number of online casinos including NetBet, Leo Vegas, Casumo, Bet Fred, Mr Green and many, many more. The soft, enchanting soundtrack to the slot will get any player carried away, and is the perfect accompaniment to gameplay. You’ll also find a list of instructions for the slot, and a section detailing the paytable (ways to win), to help you familiarise yourself with the game before you begin. What’s more, most casinos will offer the game to play in Demo Mode, meaning you can “try before you buy” (spend Real Money), and test out all of the game’s features. Go ahead – enjoy this golden slot today!